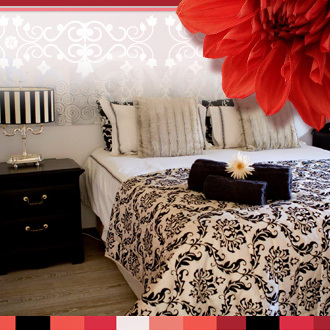 Whether you come to Kimberley for business or pleasure, we will do our best to meet your requirements and make your stay memorable, our goal being to give you an experience that you will cherish for the rest of your life with our spacious, luxurious rooms and bathrooms that are decorated tastefully for your enjoyment. 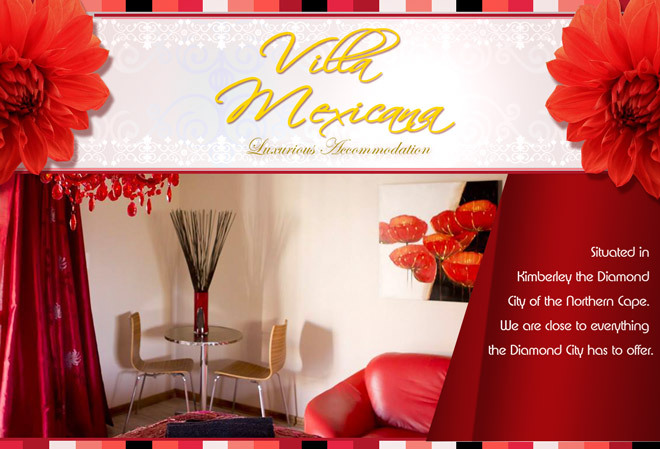 Situated in Kimberley the Diamond City of the Northern Cape, close to everything the Diamond City has to offer, including 10 en-suite Guest rooms, 2 Honeymoon suites and 3 Luxurious Executive suites for our guests. 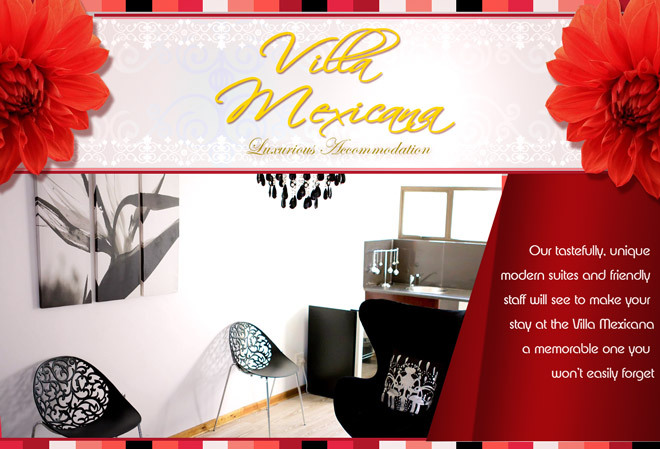 Our tastefully, unique modern suites with added details and friendly staff will see to your every specific need to make your stay at the Villa Mexicana a very pleasant, comfortable and memorable one you won’t easily forget. 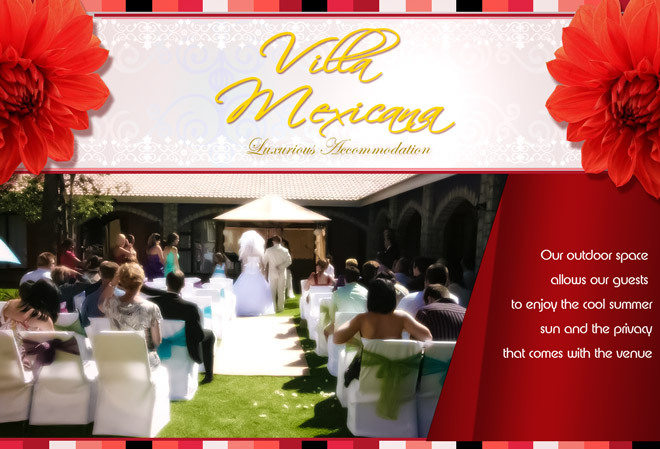 Here guests will find genuine hospitality where they can relax and be pampered for you to create memories that will last you a lifetime. 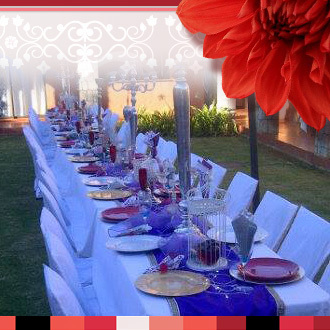 I would like to make a booking on our birthdays from the 20 to 21 June 2015. 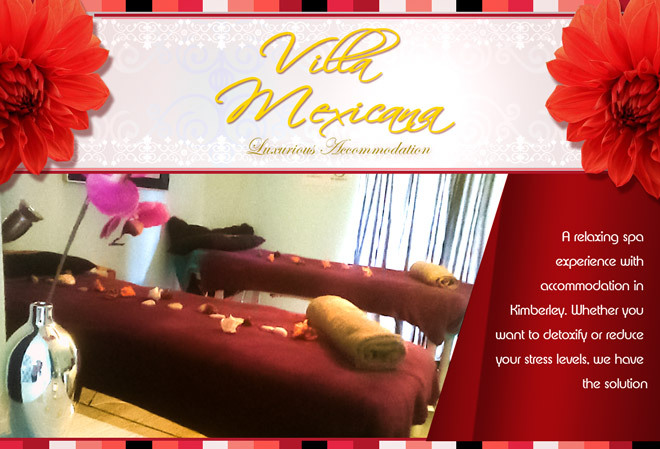 Please send me a quote with your spa packages. 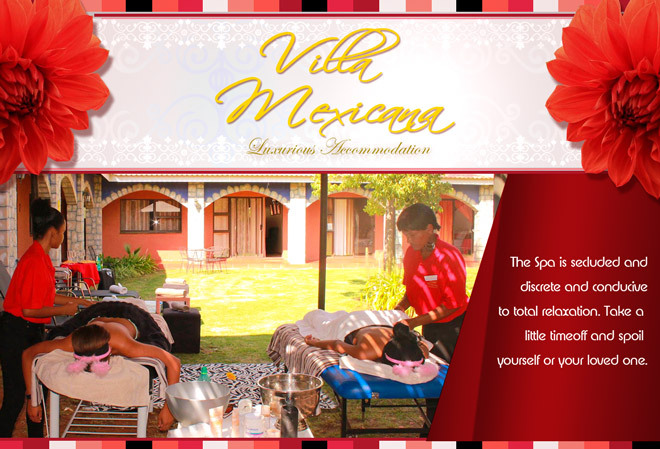 Could you please send me your spa packages. 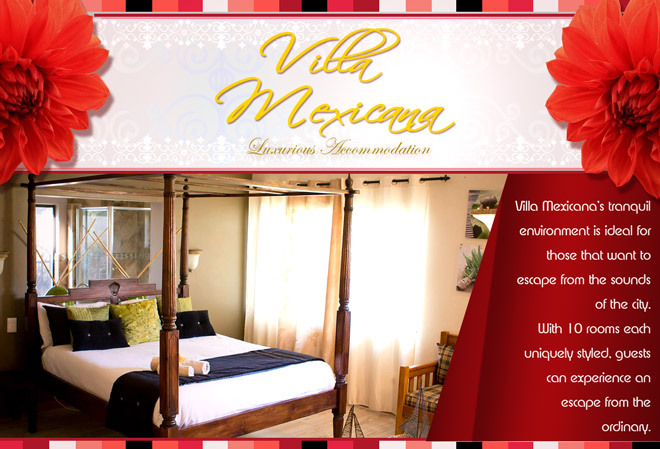 I would like to book for either today or some time in the weekend. 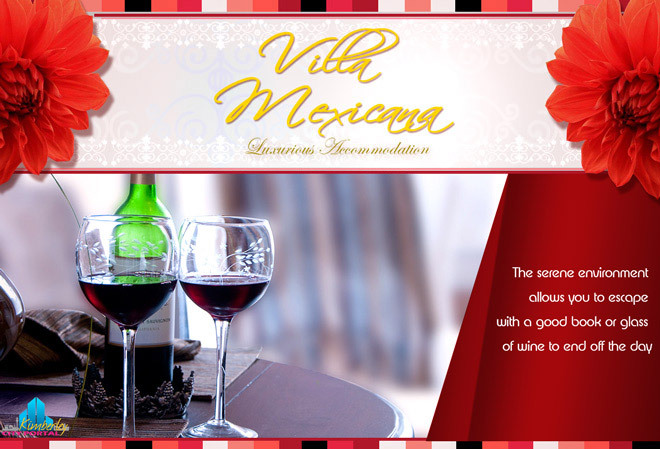 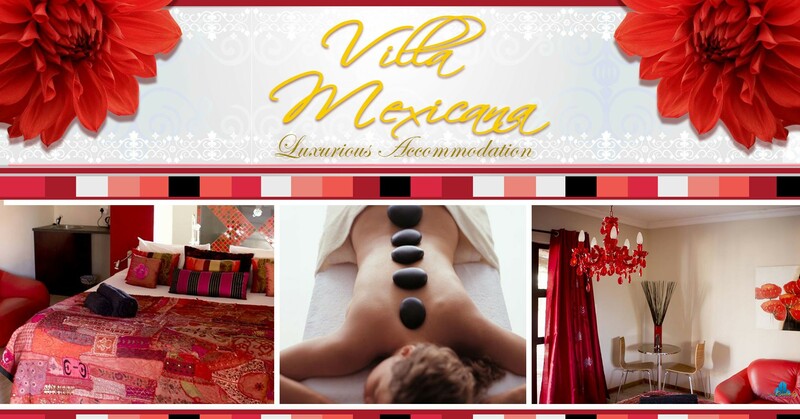 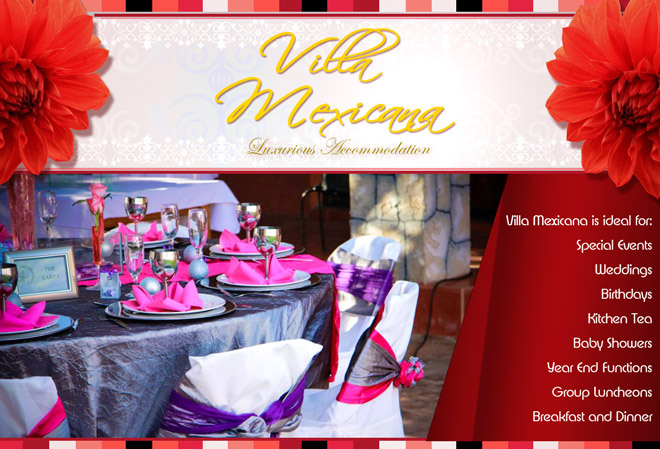 View all events in "Villa Mexicana Guesthouse"